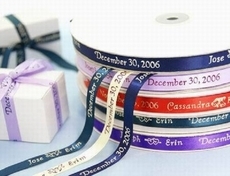 We do print customized words for your personalized ribbons. 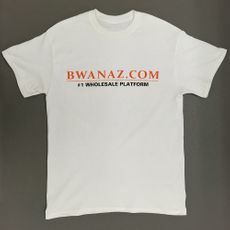 We also do favor bags,tag printings, etc. We were told that more people attended weddings than went to the gym last year. 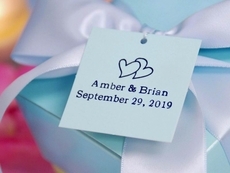 Personalized favors are creative additions to impress your wedding guests, and make your "Once Upon a Time" have an unforgettable "Happily Ever After." 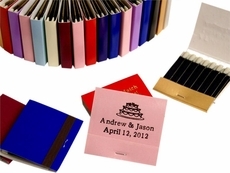 Personalized ribbon can be used on favor boxes, favor bags, cake servers. 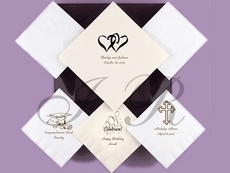 Engraving for flute, glass and metal, cake servers are available too. 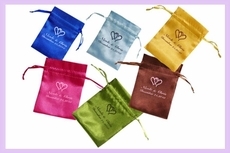 The below engraving favor price is the cost for engraving only; glass,flutes and sold separately.